Architect Enrico Taglietti. Photo by Anthony Basheer. ARCHITECT Enrico Taglietti’s constant, thought-provoking questioning is a hallmark of his approach to work. “When I was first building a home for a family I would ask them many questions such as ‘do you like music?’, ‘do you love your wife/husband?’… they got upset sometimes!” says the renowned Canberra architect. And it is the questioning and opening up of dialogue that he is most passionate about; about young people having the opportunity and encouragement to do it in their schooling and throughout their lives. Having grown up in Africa during World War II, he remembers the British entering Italian Africa and precluding teachers they believed were affiliated with fascists, substituting them with any teachers they could find. As a result the young Enrico was taught by a mixed group of professionals – an engineer taught him mathematics and a university philosopher taught Greek and the history of philosophy. It was the philosopher that inspired Enrico to always ask questions. 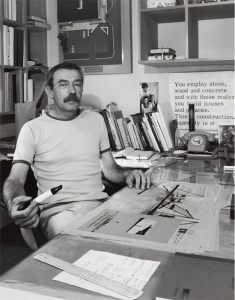 Now Dr Taglietti, recognised as an important architect and a leading practitioner of the late 20th century organic style of architecture, is to be honoured at an international symposium to held at the National Gallery of Australia on Friday, November 16. Local, national and international speakers will celebrate his contribution to Canberra’s built environment. There will also be some of the many people who have been touched by Taglietti’s designs – schoolchildren, designers and homeowners. Beyond that, DESIGN Canberra has curated a series of related events and exhibitions. The 92-year-old says he was “flabbergasted” and “embarrassed” when approached by DESIGN Canberra to be celebrated and recognised through the annual festival. Whatever his personal misgivings, there is no question about his architectural record. 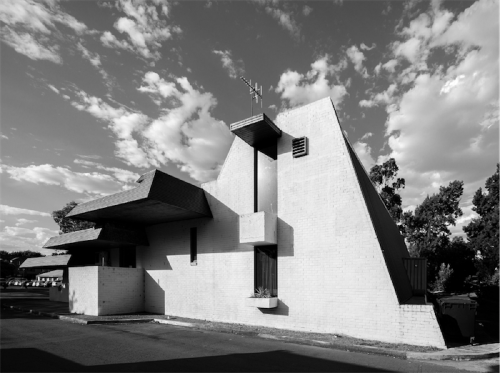 He has designed many distinguished houses, schools and churches, and distinctive public and commercial buildings in Canberra, Sydney and Melbourne, including locally the Italian embassy, Dickson Library, the Italian Club and the War Memorial Annexe in Mitchell. 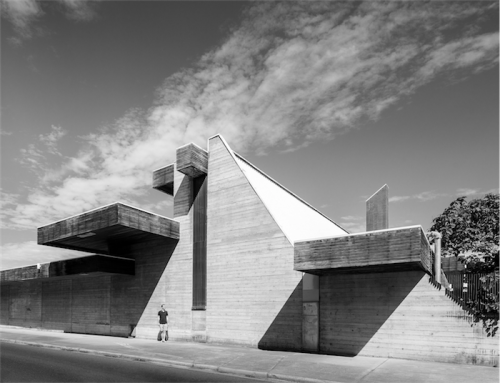 His projects have won numerous Royal Australian Institute of Architects awards and in 2007 Dr Taglietti was awarded Australia’s most prestigious architecture prize – the Gold Medal for Architecture. 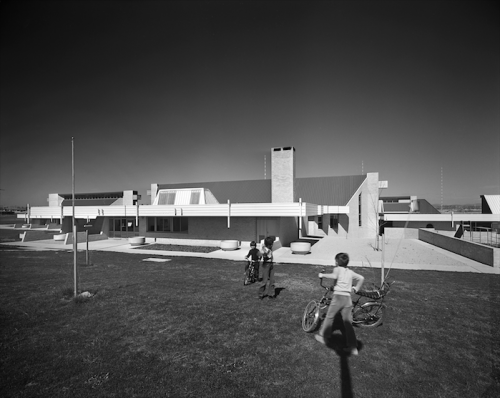 But back in his Griffith studio, Taglietti speaks with particular pride about the work he did in designing primary schools such as Giralang, Flynn, Gowrie and Latham. One of Taglietti’s mantras is that architecture is about the nothingness within a structure – the voids, the spaces within which the functions of a house or a public space are carried out. He believes that internal space should not necessarily dictate the external envelope and in many of his projects the inner and outer elements are vastly different. The “void” became the philosophy of his architecture, creating empty spaces in which the functions of a home or public space are carried out. “One designs emptiness and covers it to make it liveable,” he says. Having made such a contribution to creating spaces for young people, it is the subject of education that concerns Taglietti today. A staunch believer of separation of government and religion from schools, he is passionate about primary education being totally free and only provided by the government. He believes the culture of education has created an “inequity of competition within students… [and focused more on] the production of wealth and how to get ahead instead of the wellbeing of children”. The result he says is visible in society now. “Compulsory education culture should not promote adversary competition and cleverness, but promote dialogue and mateship; not personal wealth but wellbeing and the appreciation of the wonder of life,” he says. 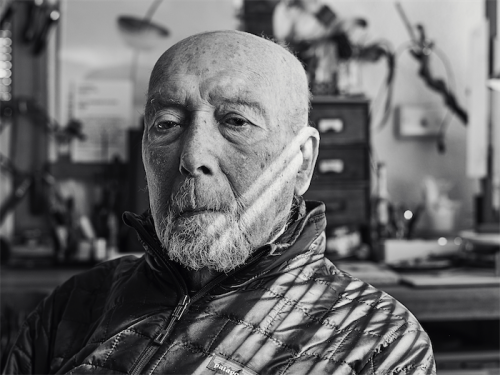 When Taglietti came from Italy to a young Canberra in the 1950s he fell in love with its silence and lack of pollution compared to his hometown of Milan. “I was looking at a totally different sky without pollution. The prime minister was Menzies at the time and almost everyone was in love with Canberra,” he says. Menzies was ordering the diplomats in Sydney and Melbourne to come to Canberra and be based in the capital and, as a result, Taglietti was sent from Milan to find a site for the Italian embassy. Dr Taglietti says Canberra was new and he was excited by the prospect of designing in a place where there was a lack of history. “Coming from Italy, history was always present. There was a burden of history,” he says. And his message to young, aspiring architects? Kate Meikle is a staff reporter for "CityNews"